My kids love Christmas time and I’m always trying to do fun things to make the holidays a little more enjoyable. It’s the small things that really put a smile on their faces. 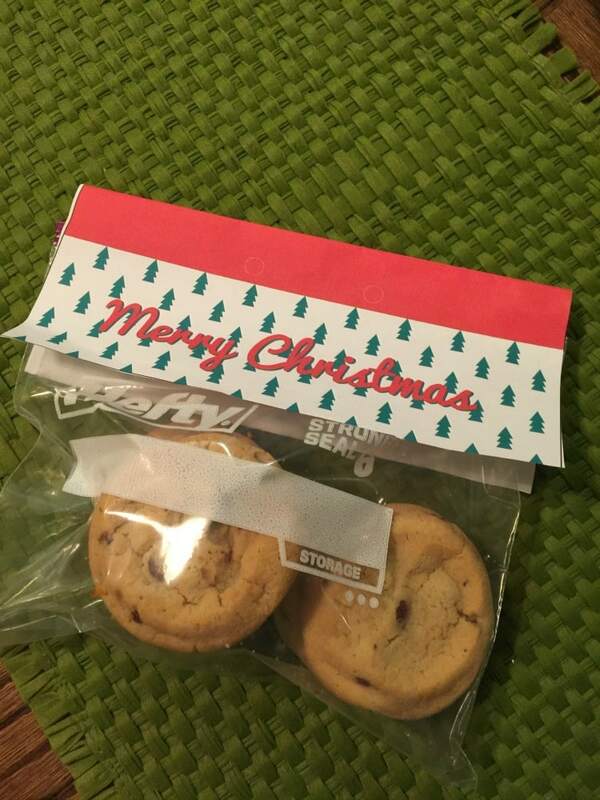 For school snacks, I’ve started using Hefty Slider Bags along with the printable Christmas toppers. It’s and easy and affordable way to decorate your Hefty Slider Bags. There are several different themes to choose from. You can get really decorative with your Hefty Storage Slider bags, there are guides so that you can punch holes out, add ribbon and really personalize the bags. I was out of ribbon, so I stapled down the sides of the topper to the bag. It came out perfect! These toppers would also be perfect for gift exchanges! 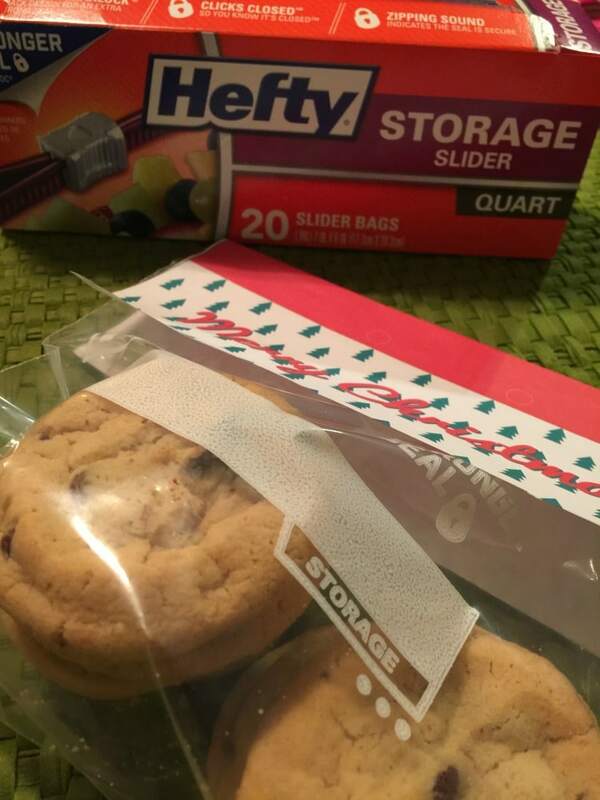 No need to spend money on expensive gift bags when you can simply use your Hefty Storage Slider bags and add a holiday printable topper to them. Oh and if you want the yummy cookie recipe for the cookies in the bag, here it is! Drop 48 half-teaspoons of dough onto one or two large nonstick baking sheets, leaving a small amount of space between each cookie. Bake cookies until golden around edges, about 4 to 6 minutes; cool on a wire rack. Yields 1 cookie per serving.